It's officially October which means fall is in the air, pumpkins are everywhere, and Halloween is just around the corner. For many, the whole month of October means it's Halloween, not just on the 31st. People are looking for every excuse to dress up, carve pumpkins, and get in the spirit. Well, Redford Theatre is giving you all sorts of reasons to get spooky this month. 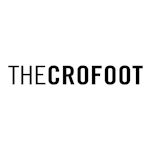 They are kicking off their Halloween movie season that will feature of horror films every weekend. This coming weekend, October 4th and 5th, they will be having a Vincent Price film festival. Price's resume includes a long list of movies and t.v. appearances, but he is definitely best known for his roles in horror films and his overall creepy persona. This festival will show a double feature of Diary of a Madman and The Raven on Friday night beginning at 8 p.m. Then, on Saturday, there is a matinee for House of Wax, followed by another double feature at night showing The Masque of the Red Death and The Tingler. Tickets for these shows are $5 each or $13 for all three showtimes. Coming up in the following weeks there are more movies that will make you cringe, jump, and might even give you goosebumps. 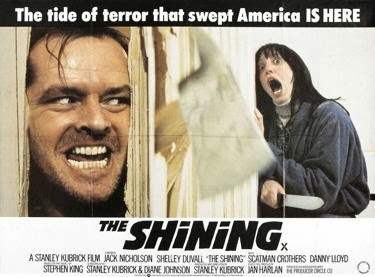 On October 18th there is an 11 p.m. showing of The Shining starring Jack Nicholson. October 19th, the movie is He Who Gets Slapped. 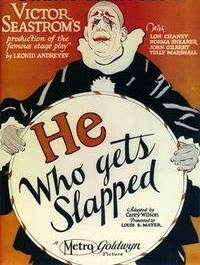 This 1924 silent movie is listed as a drama/thriller and features a clown as the main character. Organist John Lauter will be playing a live accompaniment during the film. I'm not sure if many of you would qualify this as a "scary movie", but a clown and an organ sound pretty eerie to me right there. So if the story line is even a little scary, this has potential to be terrifying or at least give you some pretty messed up dreams. 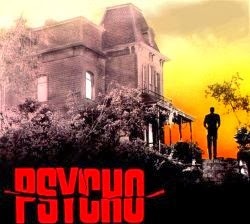 On the last weekend leading up to Halloween,, October 25th and 26th, you can watch one of the most classic thrillers of all time, Alfred Hitchcock's Psycho. Showtimes for that are on Friday and Saturday at 8 p.m. with a 2 o'clock matinee on Saturday as well. Tickets for all of these movies can be purchased ahead of time through Redford Theatre's website. Most shows are $5 or $6, which is relatively cheap especially considering the amazing ambiance. 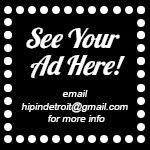 The historic Redford Theatre is located at 17360 Lahser Road in Detroit. For additional info, visit them online at RedfordTheatre.com.